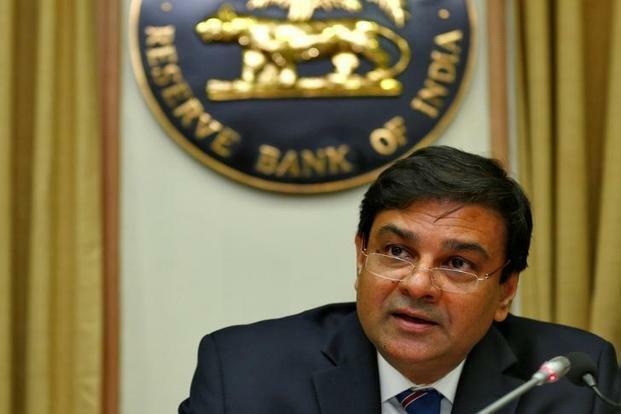 Mumbai: Governor of the Reserve Bank of India (RBI), Urjit Patel, on Thursday said the soon-to-be implemented goods and services tax (GST) will not only create a national market but will also broaden the tax base which in turn will lower the overall taxes in the long-term. “The prudent point is that GST itself is part of the digitisation revolution, which along with the reforms on the information tax side in terms of the processes and operations, have the potential to broaden the tax base considerably,” Patel told an event organised by industry lobby IMC Chamber of Commerce and Industry in Mumbai on Thursday. The governor also said GST is a precursor to a low tax regime in the country at a later stage. With a four-rate structure, GST will come into force from the midnight of 30 June. Except Jammu and Kashmir (J&K), all the states have passed enabling laws for its implementation. He said the broadening of tax base is an important outcome of the new uniform taxation regime and other initiatives on e-payments and digitisation. Talking about fintech, he said with the emergence of technology-enabled innovation in financial services there will be both opportunities and risks to financial sector stability which need to be addressed by policy makers, regulators and supervisors, as many innovations have not been tested through a full financial cycle. “You really come to know what works and what doesn’t when you go through a full cycle. The decision taken at an early stage can set important precedence on what is the right time and the wrong time. Therefore, caution in this respect is not unwarranted especially when you consider that the world is yet to recover even from the 2008 global financial crisis,” he said. Patel said even the country’s fintech industry has almost tripled its size since 2013 and the value of transactions has touched $30 billion already. Patel said the central bank has taken several steps such as the licencing payment banks, Bharat Bill Payment System and launch of UPI, IMPS, among others to facilitate innovations, payment systems and digital banking. The RBI has also issued a discussion paper on peer-to-peer lending and will be soon issuing guidelines on it. “We had to wait for one or two clearances in this area before we move forward and we have those clearances now,” Patel said. He also said enough focus or publicity has not been given to IndiaStack, which is a set of APIs that allows governments, businesses, start-ups and developers to utilise a unique digital infrastructure to resolve problems towards presence-less, paperless, and cashless services delivery. The APIs which are part of IndiaStack are the UPI, the Aadhaar authentication, Aadhaar e-kyc, digital locker, digital user. “IndiaStack is a game-changer in our macro fundamentals as financialization of our savings continues. The most important and durable implication of this is going to be an increase in financial savings compared to where we are now,” he said. Patel said IndiaStack can also help improve growth rates in the future and its full implication will come in short to medium-term.